Thanks for the advice and information, sourced viton o ring for the flange and stainless steel braided fuel lines. Just awaiting new inline fuel filter before its first run out. 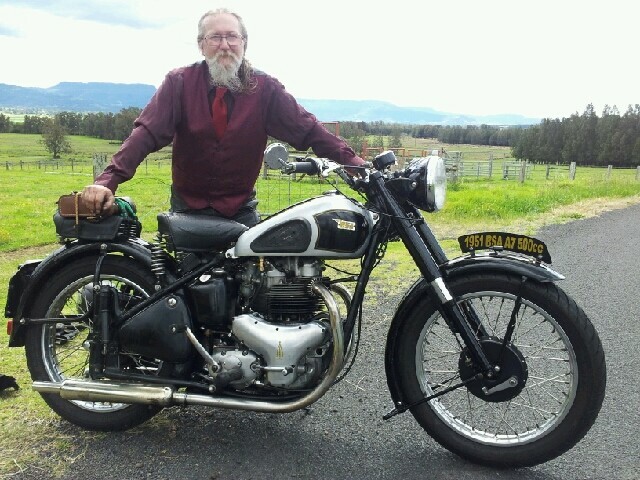 1960 Super Rocket, owned since 1966, back on the road 2012 after being laid up for 29yrs. Billy, I am sure you will be pleased, please update with feedback, Any support needed, feel free to reach out either here or PM. Those unfamiliar with carburetor tuning seem to be the ones with the most complaints. Followed closely by the purist who would never fit one just because it was not factory. When we know the application we pre-jet the product to avoid much of the bothersome tuning experience. The cheap products online are like you said of unknown quality. Many are fitted with odd size jets and jet carriers. This makes tuning almost impossible. We will put out some articles soon on the subject. 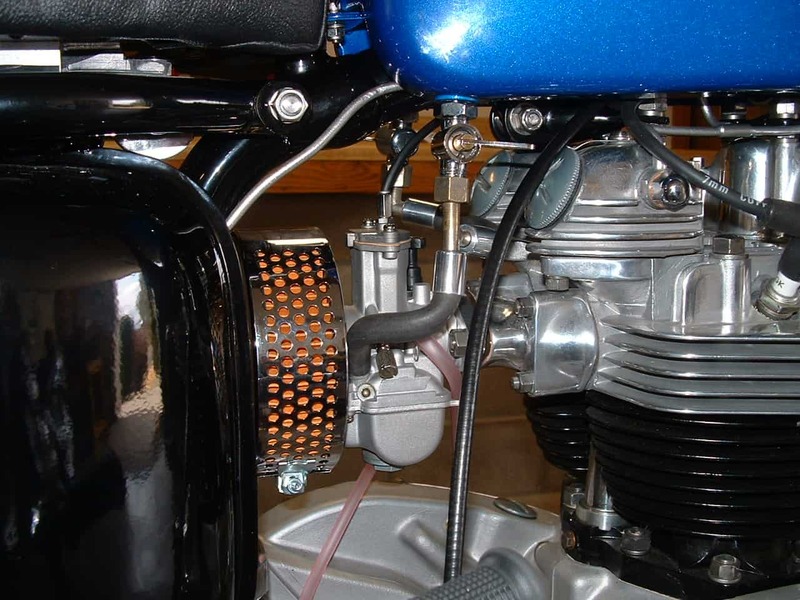 The JRC Superior Britflow carburetor is intended to be a direct replacement for the factory supplied carburetor. 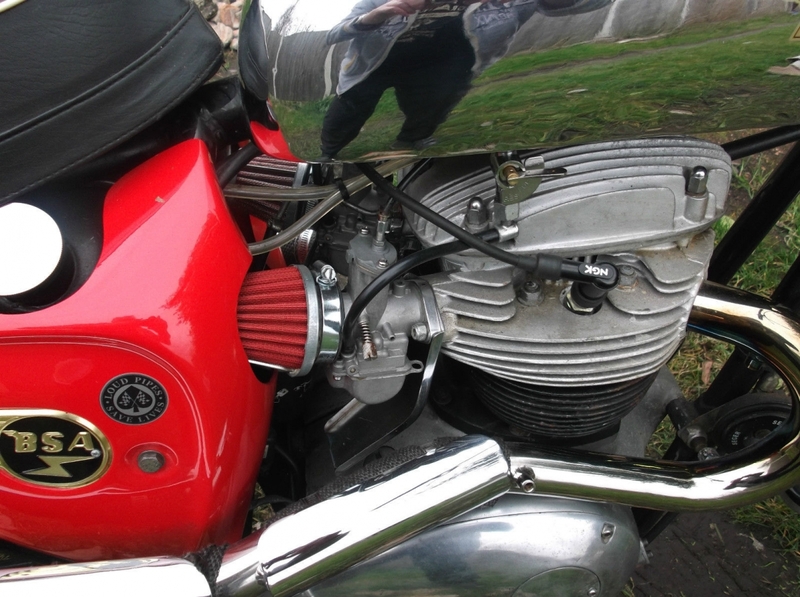 Why replace the stock carburetor with a JRC Superior? Price - Our carburetor is an economical alternative to the OEM carburetor. Performance - In dyno testing our carburetor was shown to increase horsepower and fuel economy. We have the data if you would like to see for yourself. Safety - Our carburetor does not leak when "choked" for starting. So no fuel dribbling down the side of the carb. The flat slide design prevents throttle valve sticking. The bodies of our carb is not prone to warp if the flange bolts are over tightened. Material - JRC Superior carbs are made of aluminium with a chrome plated brass slide. We do not employ pot metal in our carburetor. This makes the unit lighter and longer lasting. THE ADDITION OF THE POWER JET IMPROVES TOP END PERFORMANCE. CUSTOM FITMENT REQUESTS ARE WELCOME. Remember that any advice received on a free internet forum is generally worth about 1/2 of what you paid for it. We overcharge every 3rd customer to pass the savings onto you. You can have High Quality, Low price, and fast turnaround. Pick any 2, Never all 3 at the same time. I'm a very happy customer. Having two 30's on an A10 meant I had To "tune" them, and that took a bit of work, but great once sorted. My only errr is the pilot screw on the right carb is hidden by the left carb. Not really a problem now their sorted. First outing today with the SRM supplied PWK (JRC) 30mm carb, started first kick with use of the enricher, pulled well but popped on overrun, quick stop after 10 miles for adjustments to air screw and plug chop. Very pleased, liked the choice of idle adjustment screw position and no more tickling. Just need more practice of use of enricher. I passed on your comments and a copy of your pix to the staff at JRC. Got this in return. Tuning has been an issue when we introduce a carb to a new market. We always are seeking jetting data. That why the next customer in that region will benefit. Fuel formulations vary considerably since most vehicles are fuel injected these days. Any difference is compensated for by the computer. Not really to good for us. The addition of ethanol to fuel has also played a big part in tuning troubles. We actually offer an extended pilot screw. I just downloaded their parts dogalog. Wow they have some stuff! I looked at the link for the P17A and this is where the terminology of different countries become a problem. In the parts list it's called a idle screw, I know them as pilot screw (air in this case or fuel). What I call an idle screw they call throttle stop screw! So I took one out of a carb to compare to the pic on the web page. Yep their the tomartoes/tomaatoes. Page created in 0.3 seconds with 20 queries.